There was much discussion in the 1970s about soundstage transparency, the ability to access the inner recesses of the stage as a function of stage depth and width. That’s probably because back then so few power amps possessed that ability. The state of the art has advanced drastically since then, and many power amps now offer transparency on tap. I don’t recall using the term veiling in a long time and don’t plan to use it in the context of the ZOTL40. With a respectable front end, it was easy to pinpoint individual image outlines within the confines of a spacious soundstage. Massed voices were easy to resolve with excellent spatial separation. Rhythmic drive was aided by a well-defined bass range with excellent pitch definition. The amp’s output impedance is given as 1.6 ohms and did not give any trouble in the context of the Basszilla DIY loudspeaker, though I imagine that the highish output impedance could reduce bass weight with some low-impedance loudspeakers. A feedback loop from the output stage to the 12AX7 input tube is used to maintain output impedance at a reasonable level. The manual mentions the possibility of substituting a lower gain 5751 for the 12AX7. I haven’t tried that, but I suspect that it would slightly increase the output impedance and reduce sensitivity. I’ve left the best for last. My gut-level reaction to a particular audio component is driven by its dynamics, its ability to coax the full spectrum of emotional nuance from a given recording. It starts with microdynamic nuances, and these the ZOTL40 was able to convincingly bring back to life. It didn’t shy away from giving full scope of expression to macrodynamics, either. When the occasion demanded, each orchestral climax was reproduced with plenty of startle factor. But keep in mind that the ZOTL40 is nominally a 40Wpc amplifier and should therefore ideally be matched with speakers of at least 88dB sensitivity, unless you’re happy to listen in a small room at low-volume levels. It’s hard to believe that it has already been 20 years since David Berning was granted the ZOTL patent. The good news is that it is as relevant today as it was back then. The technology still delivers a substantial dose of tube magic while avoiding the pitfalls of tube euphonics. Finally, here is a ZOTL amp based on the readily available EL34 power tube. OK, so tube life has always been advertised as extending into the many thousands of hours, but even so, it’s nice to no longer have to worry about scrounging around for TV sweep tubes. 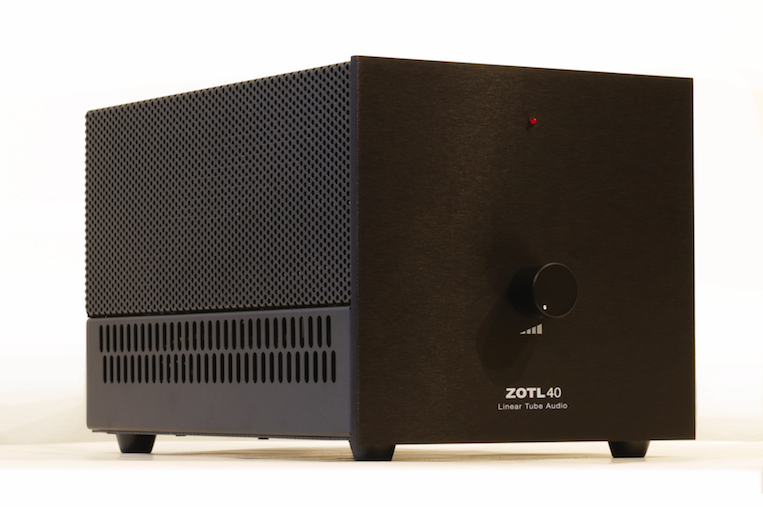 Easy to listen to and fully capable of releasing the music’s drama and tension, the ZOTL40 is worthy of an enthusiastic two-thumbs-up recommendation. I expect it to reside in my listening room for a very long time. Be sure to audition it if you’re in the market for a medium-powered tube amplifier. Dimensions: 9" x 8.5" x 14.5"